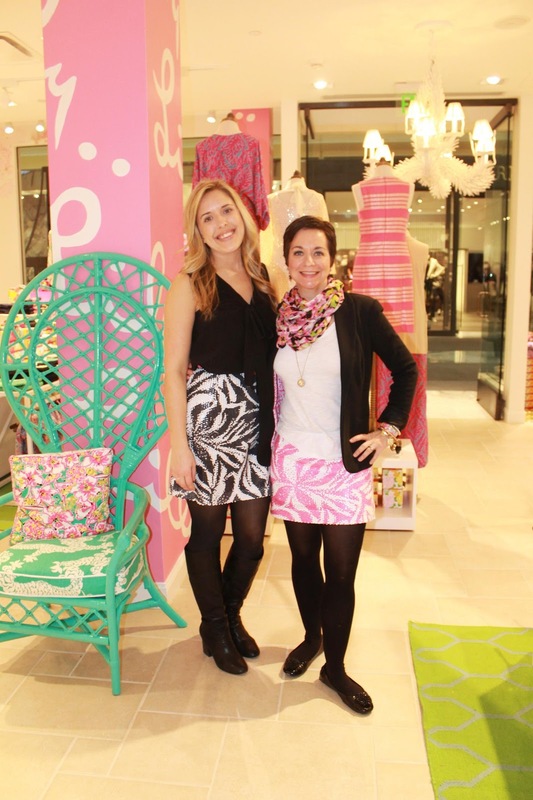 Lilly Pulitzer at Tysons Galleria opened doors for Lilly lovers yesterday. The store is very large and has an amazing selection that you'll love! Be prepared for picture overload in today's post. 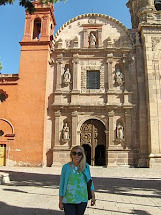 The images I have to show to you are narrowed down from over 50 pictures that I took at the store. 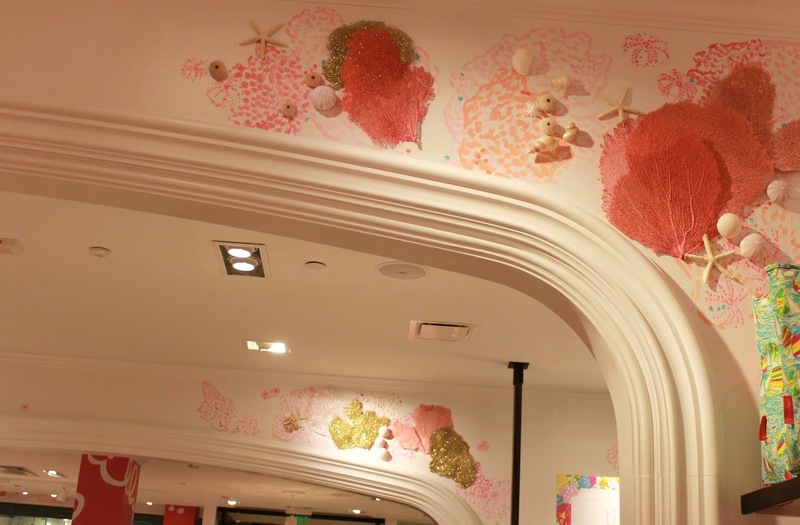 After visiting dozens of Lilly Pulitzer stores, I can assure you that this store is pure eye candy. So after braving a little rush hour traffic on 495, the first logical stop on our tour is the bathroom! 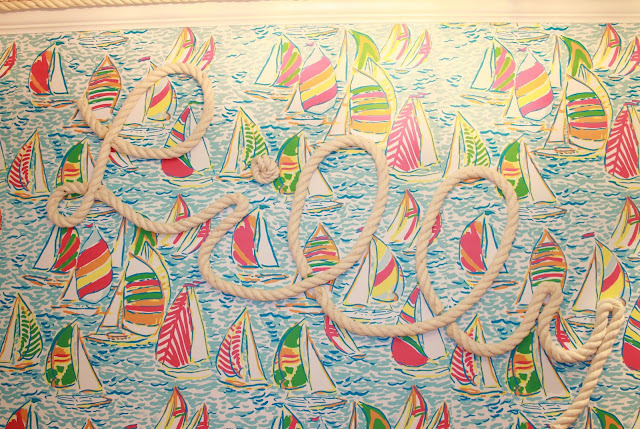 You Gotta Regatta wall paper trimmed with nautical rope details and a Jonathan Adler chandelier brighten this space. The partridge bowl from Jonathan Adler beautifully displays bangles. 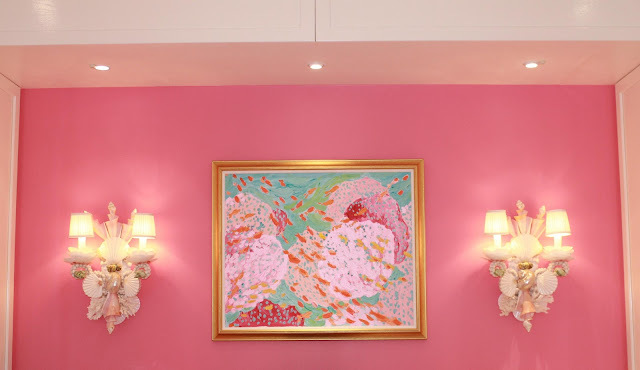 The design team from the Pink Palace painted all of these wall decorations and murals by hand! 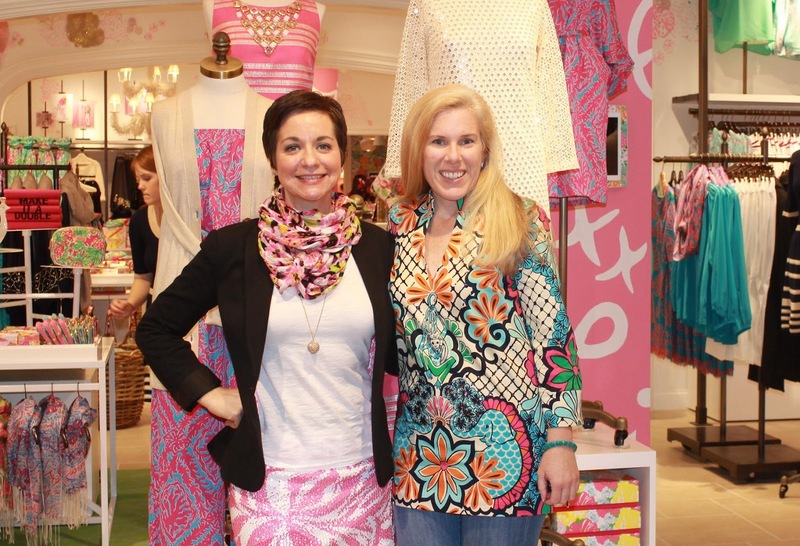 Two lovely ladies in their Lilly! I love the Harvey and Tate skirts. Perfect for holiday parties. The jewel of the store is the dressing room area! The wall paper is amazingly gorgeous. I adore the colors that remind me of old school Palm Beach. As soon as I saw this space, I felt like I was transported to the lobby of the Colony Hotel in Delray. 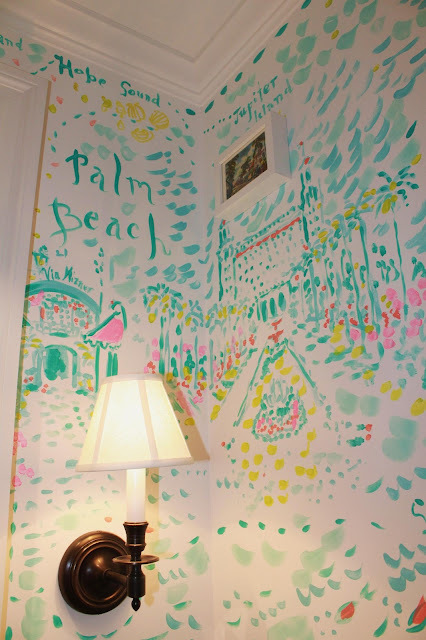 If I could find some of this wall paper for my home, I'd be such a happy peep! 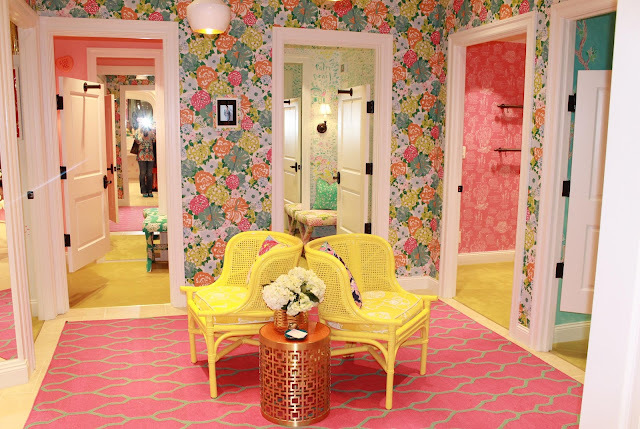 Every Lilly Pulitzer corporate store has a dressing room that tells the story of Lilly Pulitzer. 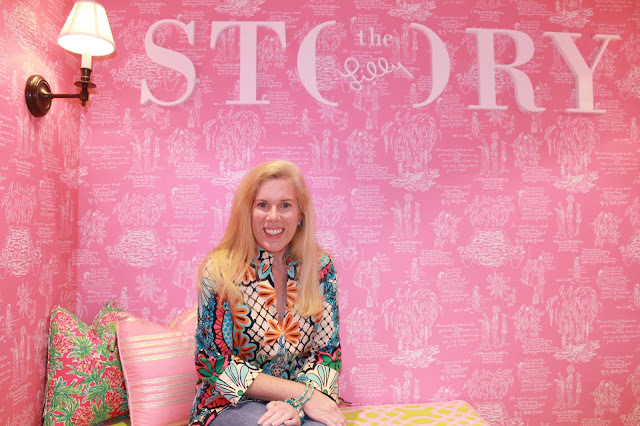 At Tysons Galleria, the story room is decked out in the pink toile print that you may have seen in the tissue paper that is now used to wrap your goodies. Another dressing room squeezes the sweetest juice out of life! The fruit on the ceiling is covered in a glittery gloss and the murals on the walls are painted by hand. Lilly Pulitzer's Facebook fans voted on the theme of one of the dressing rooms and this was the winner! 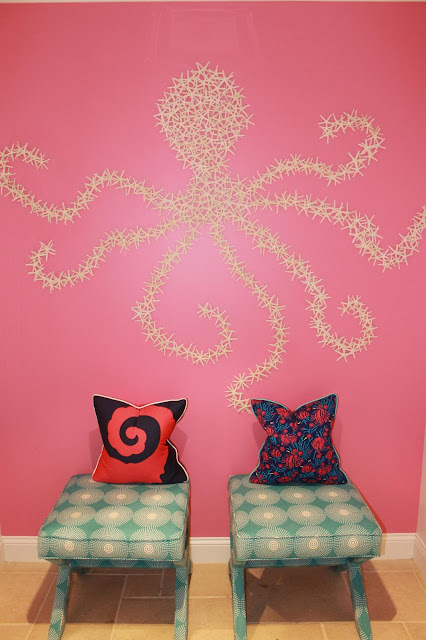 Another recurring dressing room theme at the corporate stores tells the color story. 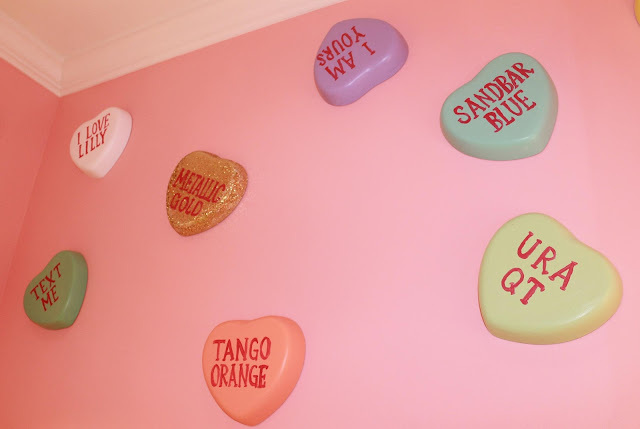 Pretty painted conversation hearts adorn the walls of this sweet dressing room. At Lilly Pulitzer life is a party! Celebrate every day in the party themed dressing room. 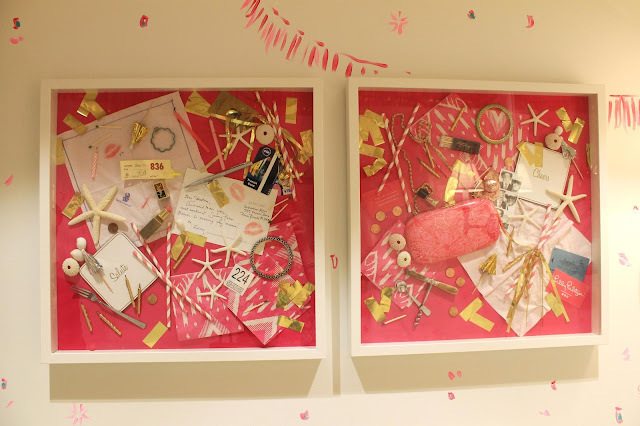 From the champagne bottles, corks, and glasses on the ceiling to the gold confetti, you'll feel festive in this space. I especially love the memory boxes complete with correspondence and memorabilia from Lilly Pulitzer herself. 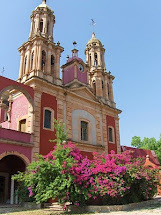 Every store is different and shows local influences. 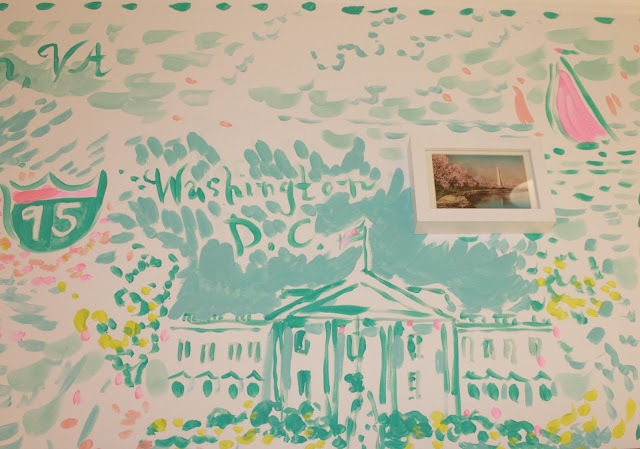 Take a road trip from Washington, DC to Palm Beach on the walls of this dressing room! 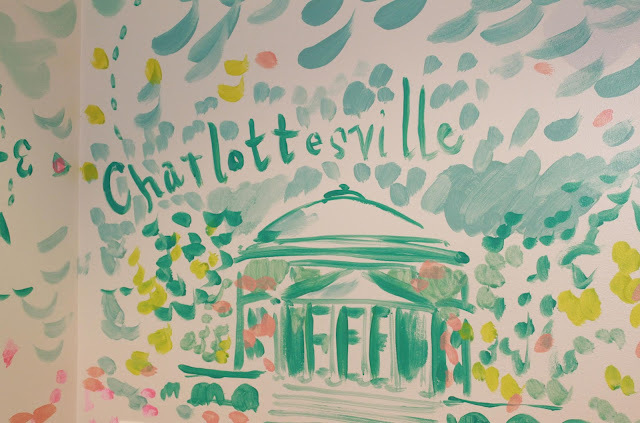 On your way to sunny Florida, take a break in Charlottesville, Raleigh, Atlanta, and Jacksonville. Once you're in Palm Beach, a visit to The Breakers is a must on your agenda! Glittery details and pretty accessories are everywhere! As you checkout with your purchases, you're sure to notice the gorgeous painting from Paige Smith. 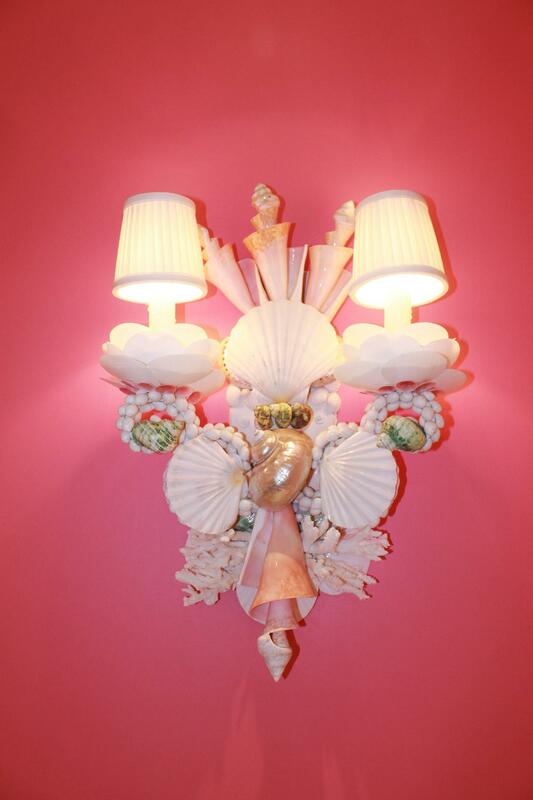 A duo of shell sconces illuminate the pink wall. The custom made shell sconce is a natural beauty! Caitlin and I love our Lilly! 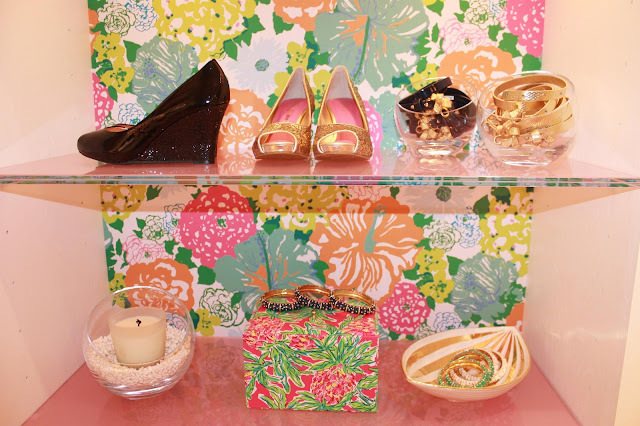 Of course there were cupcakes and champagne for Lilly Lovers to enjoy as they shopped, too! I predict that my car will be on auto-pilot quite a bit now that the Tysons Galleria store is open. LOVE! Thanks for the fun pics, it brought a bit of sunshine to our very snowy day! The store looks beautiful, but I would not have expected anything less! I think the octopus is my favorite part! Eeeek! This was just the pretty I needed to look at on this very sad evening! 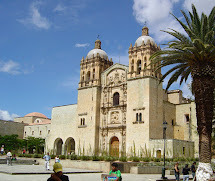 Was there today! You're right. It's lovely. What a gorgeous store!!! I especially love the you gotta regatta and octopus. Very nautical! 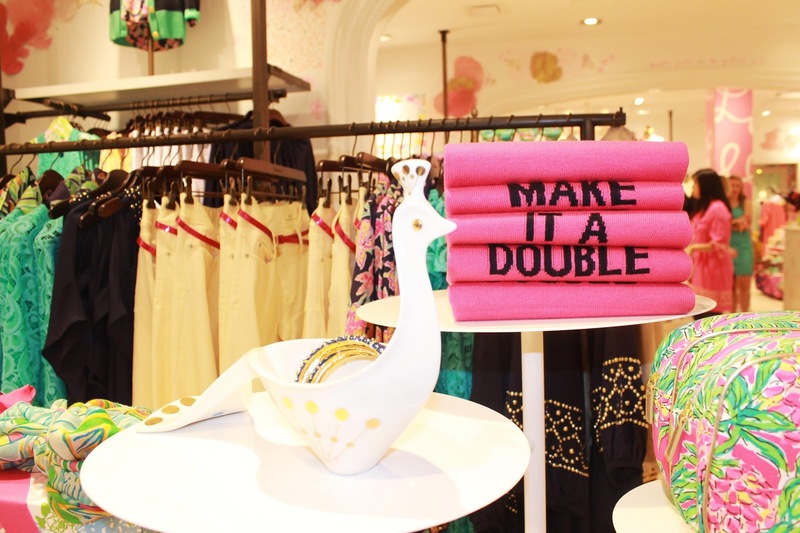 This is just the cutest store. Next time I visit VA with my boyfriend, I'll have to make him stop by. Great post!